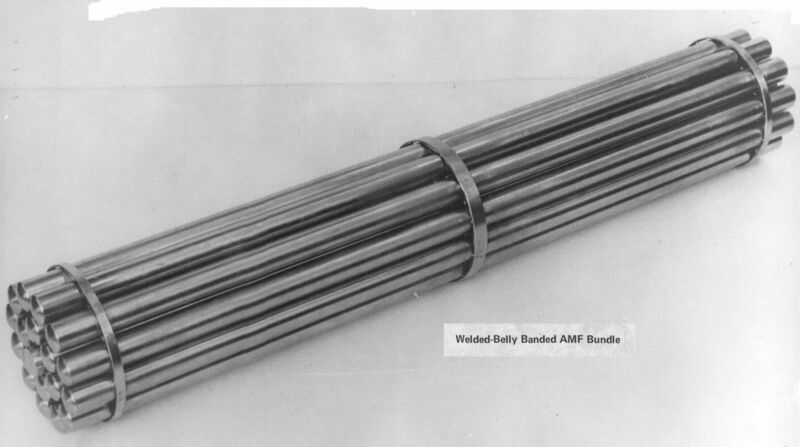 Another design during this period was held together by belly bands and used welded spacers. Did not graduate. AMF stands for American Machine and Foundry who was contracted to produce Uranium metal fuel for NRX and NRU Research reactors at Chalk River. They were later bought out by Canadian Westinghouse.